One of the most important transformations in the relationship between government and Indigenous and Torres Strait Islander communities is underway across Australia. Empowered Communities is an opt-in program of reform designed to shift the traditional top-down approach of policy-makers to a true partnership. The core of this approach is the decentralisation of decision-making, acknowledging that Indigenous peoples are best placed to identify the challenges faced in their own communities - and the best ways to resolve them. The opt-in model enjoys bipartisan support from the Federal Government. The headline policy proposal is Indigenous empowerment, comprising three parts:The Empowered Communities agenda is shared among eight regions across Australia. For the past four years Herbert Smith Freehills has contributed resources and expertise to a detailed proposal for implementing that agenda in the East Kimberley region in northern Western Australia. increasing productivity across Indigenous affairs. One of the organisations contributing to the Empowered Communities agenda is Jawun, which channels resources from corporate and philanthropic partners into Indigenous development. Herbert Smith Freehills has provided pro-bono support to Jawun, a not-for-profit organisation, since 2010. Jawun has facilitated Herbert Smith Freehills' contribution to a range of Indigenous organisations based in the East Kimberley region. The firm has now sent 64 legal and business services staff to work on six-week secondments with 20 different host organisations in the East Kimberley. Implementation: completed a discussion paper on Government contracting that supports a model of shared accountability at the regional level and assisted in the development of the Regional Development Agenda for the East Kimberley. In 2018 Senior Associate Nina Valentine worked with BBY to complete a discussion paper on Government contracting that supports a model of shared accountability at the regional level and assisted in the development of the Regional Development Agenda for the East Kimberley. Herbert Smith Freehills’ secondees routinely report profound satisfaction with the professional and personal outcomes of their Jawun secondments. In 2017 Senior Associate Iva Bacvic worked with Wunan, an Indigenous organisation aiming to shift the balance of dependence of Aboriginal people on welfare from 80% to 20% over 20 years. Iva helped adapt Board level conflict of interest policies to an Indigenous context. "It was incredible to be involved in an organisation that is pushing boundaries, in particular the way it approaches its own funding and governance,” Iva said. In 2017 Elecia Churchill, Head of Clients & Sectors, Asia-Pacific, worked with iBase (a social enterprise of Wunan) which provides accounting and finance support to a range of Indigenous businesses in the East Kimberley region. Elecia supported the proposed growth plans for iBase, developed a process for client feedback and assisted in accessing support for small Indigenous businesses through IBA. 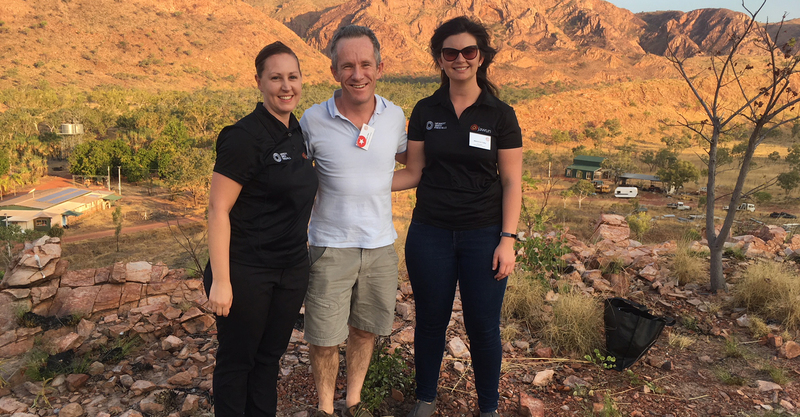 In 2018 Solicitor David Vallance also worked with Wunan to develop a fundraising and sponsorship plan for the Kimberley Education Excellence Program.